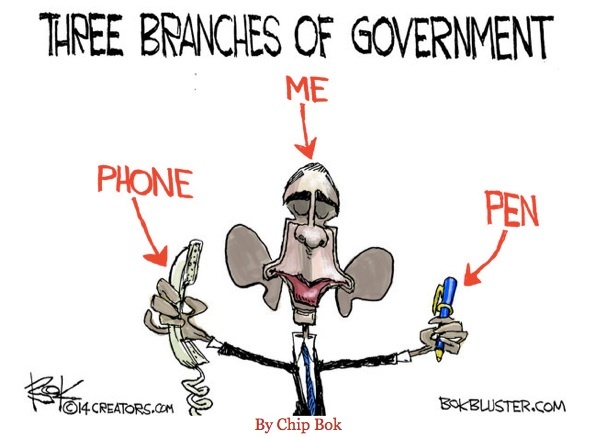 I thought I was alone in my opinion that Obama’s transformation of the “Greatest Nation on Earth” is nothing more than communist-speak for take over the country and turn it into a banana dictatorship. You wanted him, you voted for him, and now you will bow to him. Obama and his criminal syndicate are completely and tyrannically running the show in the USA. US and Constitutional laws are not being followed–and have not been since Obama took the Office of POTUS–by Obama and the members of his ruling cabal. Obama’s legal authority is to enforce the laws of the land. Obama has–and is–doing neither. Instead, he is writing and judging laws–replacing both Congress and SCOTUS.